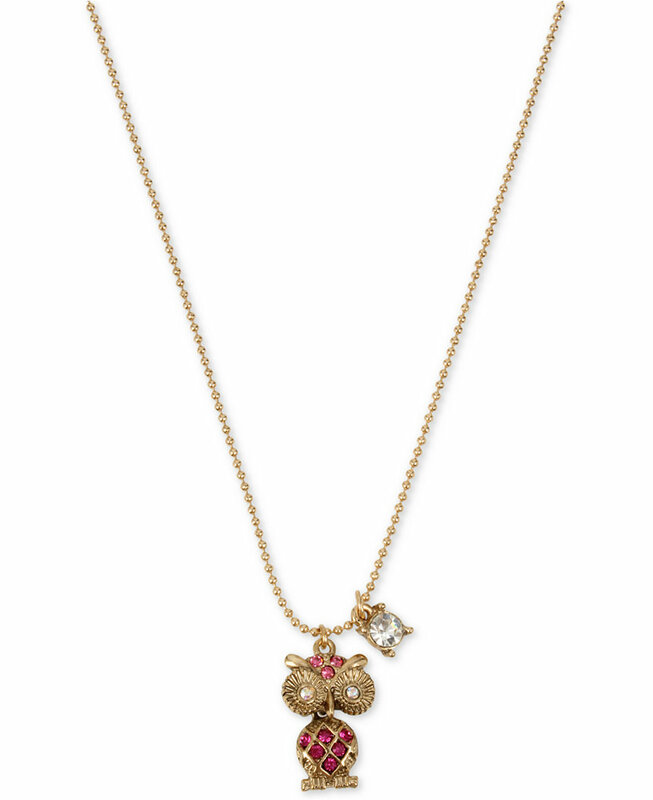 This charming necklace is sure to make you smile. A sweet cat pendant on a slim chain gives your outfit a playful accent. Gold tone necklace chain Lobster claw closure Antique gold tone Metal/glass/enamel Length: 17" + 3" Ext Pendant Width 0.5" Pendant Drop 1"